Congrats to all of you parents out there. You’ve made it so far and the day your little one is ready for solid foods is real! I know… they grow up super fast. 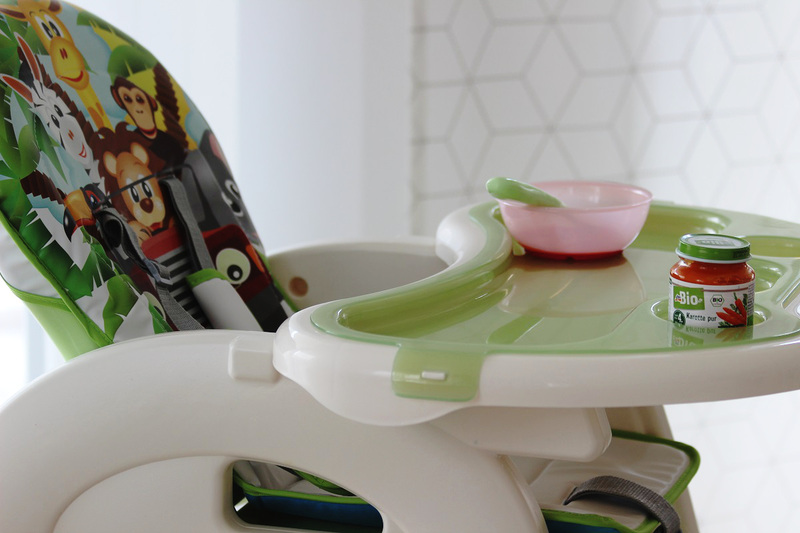 Before you dive into this new world of purees, mashed veggies and feeding supplies you’ll probably want to get a new high chair for your beloved sweetheart! Chloé is almost 10 months now and the solid food introduction is a while ago. So I can say I am a kind of “experienced mom” in this field already, lol. 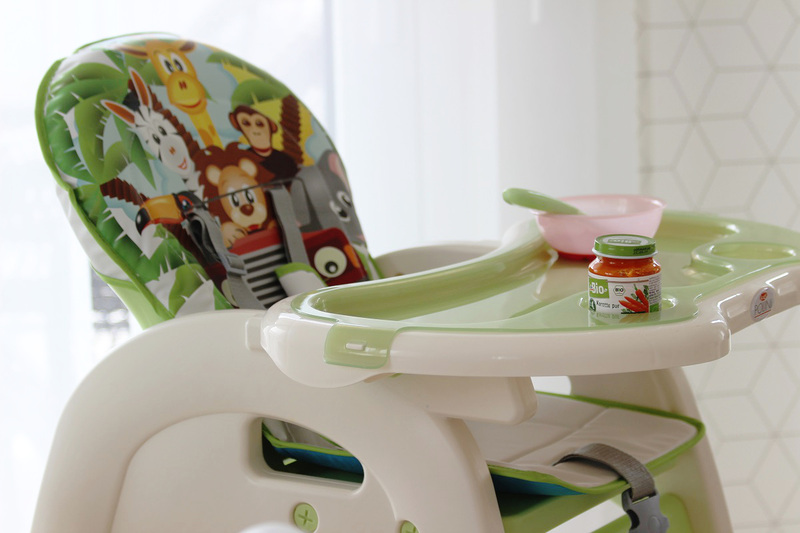 Well, seriously I want to share with you the high chair we use on daily basis. And with so many highchairs on the market with various type of styles and colours, finding the perfect highchair for your angel can be a bit of a minefield. Essentially I’ve learnt the two main types of high chairs: one that stands on its own and one that sits on top of an existing dining chair. I decided for the first one. Being a huge fan of Polini Kids baby products (you might have seen e.g. 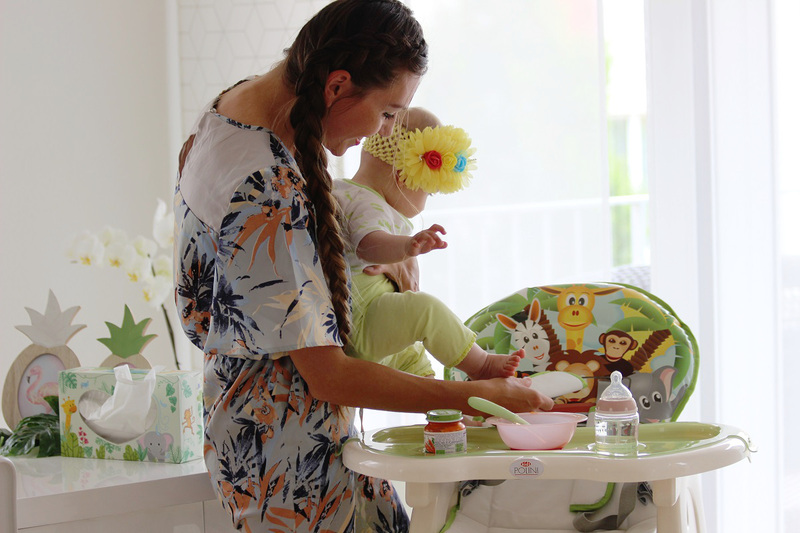 my nursery reveal or baby carrier review) I decided to get their convertible high chair in funny gender-neutral Safari design. 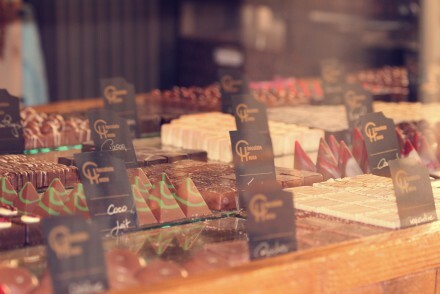 It’s incredibly good value and does a perfect job. It is not only safe, but also sturdy and easy to clean. 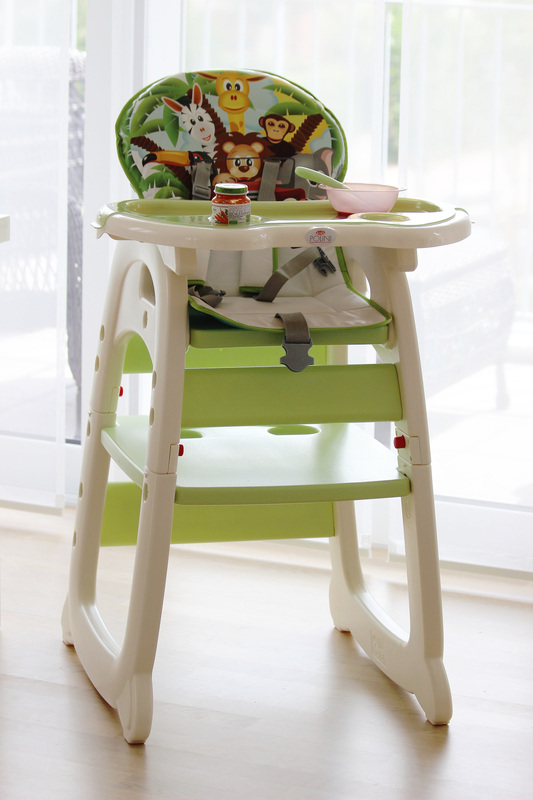 This highchair is both pretty and functional, available in a variety of eye-catching designs and colors. For me, the highest priority is the safety side of a highchair. 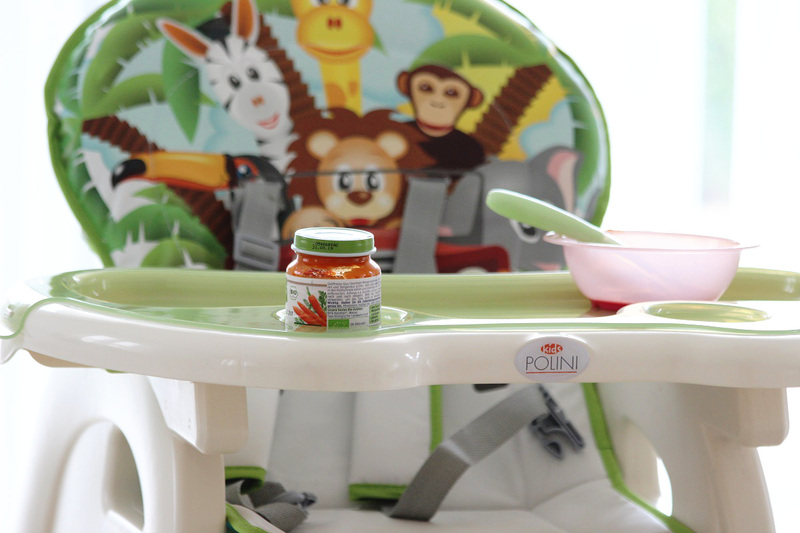 Polini Kids highchair’s table opens up and, when closed, keeps your child safely sitting down during mealtimes. Plus it has amazing safety belts which make it impossible for your little one to stand up or fall down. And the best part is that it is a grow-with-baby system which offers sitting possibility for children of different ages. Once your child is finished using the high chair, the whole system is convertible in a separate table and chair. Basically this high chair grows with your child becoming a a small dining table or even a small desk. Isn’t it cute? I have found many moms in the social media world who also absolutely rave about this highchair. This chair isn’t pricy plus you can use it for MUCH longer.We love it loads and I can recommend and rate it high enough!